Looking for versatility? Here it is! Along with crisp and clear price displays, the 1135® and 1136® Labelers offer you an important second line of printing. With the 1135® Labeler you can do price comparisons for items under $100. The 1136® Labeler can handle even higher amounts plus all of your simple codes. 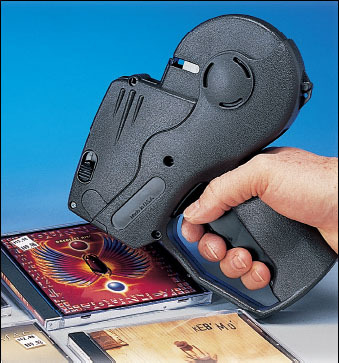 For extended use, these Labelers are lightweight and comfortable. Labels load easily with very little waste and ink rollers can be replaced just as quickly. Pop-out the old one and snap in a new one with no mess! There's even a viewing window on the side to let you know when you're running low on labels. When you need more information that's not just a price display, the 1135® and 1136® Labelers should be your first choice!